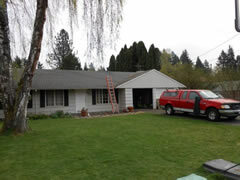 Don't let cowboy roofers ride YOUR roof! Welcome to our blog. This page is important because many people in the roofing business have absolutely no business being in the roofing business. The huge amount of negative customer reviews on the Internet is mind boggling. You need to stay away from these folks (aka Cowboy Roofers*) and know how to get the best roofing job for the best price possible. 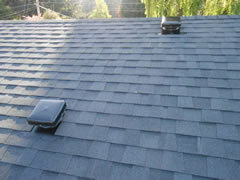 This blog will help you do that with fun, informative, and educational factoids about all aspects of roofs and roofing. * Cowboy Roofers are the folks you should avoid hiring because they put their interests above yours and are marginally to moderately skilled at best. 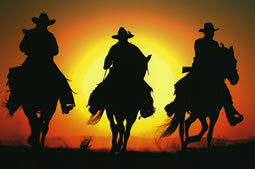 Cowboy roofers give a bad name to the roofing trade and worse yet they give a bad name to the large number of quality-oriented roofing contractors out there. 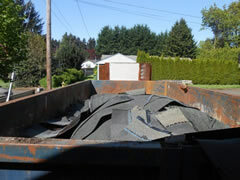 Check out our Hall of Shame for examples of what happens when cowboy roofers get on your roof. If you have a question that you would like SuperRoofer Joe Sardotz to answer in his blog or FAQs, please complete the Ask SuperRoofer form. 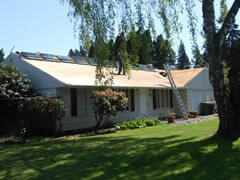 Visit Joe's Contact page if you would like Joe to provide roof consulting and inspection services for you. The contract specified 30lb felt, 15 lb was used. 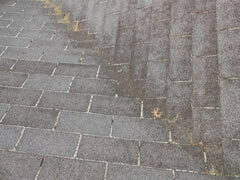 Edge flashing used was not as specified. Vents and pipes were not laid in sealant. At least 85% of nails were either set too deep, blown through (indication of air gun malfunction), at an extreme angle, and/or improperly placed. This does not occur if a roof is hand nailed. All manufacturers are very specific about fastening, and even though a little 'wiggle room' is allowed, this was not even remotely close. Way too much wiggling! 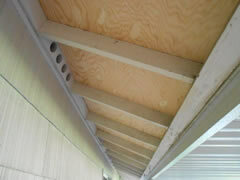 Also, the roofers used nails that were too long at the exposed overhangs, which damaged the plywood such that the owner demanded it be done again. 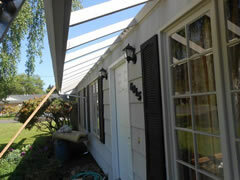 Two days after the job was completed, the new roof was torn off and done again. The difference between the two installs was like night & day. 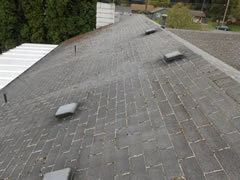 This incident created a lot of unnecessary stress for all parties, cost the roofer a lot of money, and was an embarassment for the company and the roofers themselves. Just a bad situation all the way around. Do it right: First time, every time! The moral of this story is: "Do it right the first time! Do it to manufacturer specifications. Do what the contract says." Don't let this happen to you. 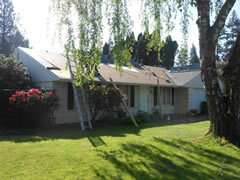 I hate to think of how many badly done new roofs are out there and how many property owners have no clue about it. 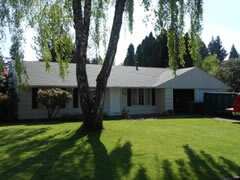 Have Oregon Roof Consulting inspect your new roof! Select a link below, then choose the Blog Entries tab to view the article.